When I think back to Cherish and Matt’s wedding, I remember a lot of things very fondly. 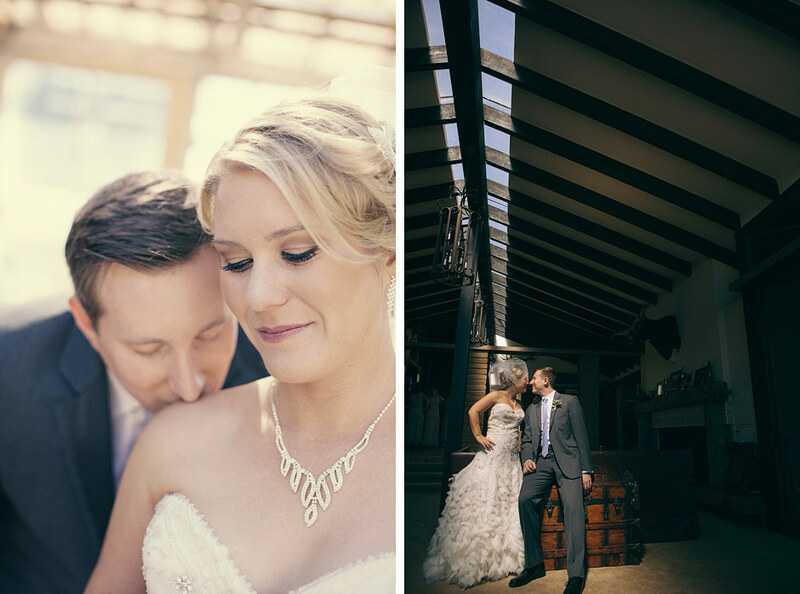 There was their incredible venue, Condor’s Nest Ranch, which is one of our (Scott and Breanna’s) all time favorite places to shoot. We love all that Condor’s Nest has to offer in terms of different places to shoot, but we were determined to give Matt and Cherish a look that you don’t typically see at CNR, so we spent our time on some more out of the way spots. And if you know Cherish and Matt, you know they were more than happy to accommodate and go for as full on unique as they could get! Another thing that stands out when I reflect back on Cherish and Matt’s wedding day is their ceremony. It was the perfect blend of a Christian and Jewish ceremony to reflect the joining of two different people into one. Cherish and Matt also included something in their ceremony that we have never in all of our wedding photography experiences seen… time for a group photo! And how could I get away from writing about Cherish and Matt’s wedding without mentioning the incredible style you see up there at the alter! 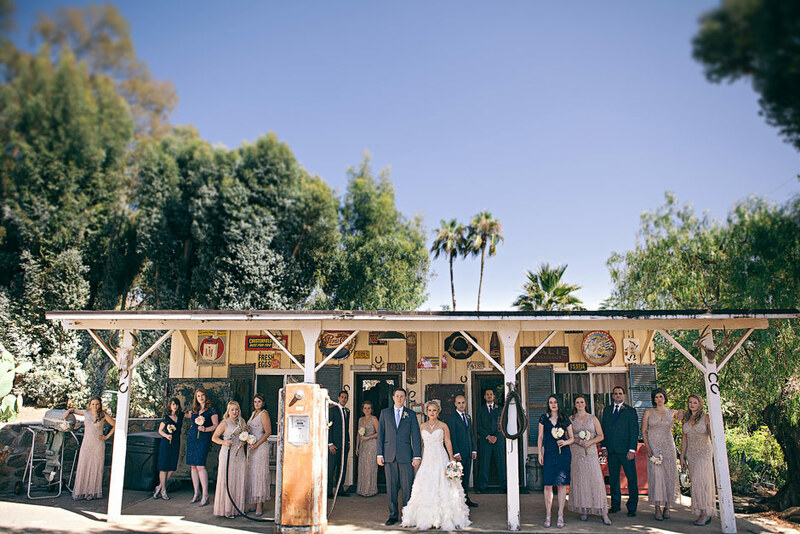 I was stunned when I saw the way that Cherish chose to contrast the outdoorsy feel of Condor’s Nest Ranch by choosing full on antique style bridesmaid dresses! I (Breanna) loved them when I first saw them, but I found I liked them even MORE when I saw them up at the alter all together! They’re just so stunning aren’t they?! Though all this and more comes to mind when I reflect back on Matt and Cherish’s wedding, there is one thing that stands out far above the rest that I have neglected to mention, and that is the music of their wedding. The reason it was so amazing is not just because of the songs they chose (though those were amazing and chosen from movies to represent their mutual love and careers), but the real magic in the music of their wedding came from the performers delivering it to us! There were SO many live performances and each one blew me away as much as the one before it! Matt performed a surprise song for Cherish that was met with many cheers and tears. Then there was Matt’s sister who performed a BEAUTIFUL solo piece that stunned all with her to-die-for voice! Even the band that Matt and Cherish hired (The Wild Reeds) was a major topic of conversation heard around that night! Then there was one other piece of live performance that took me by complete surprise and that was when Matt’s thank you speech turned into a group sing/dance along to the music of “Shout”! I’ve never seen anything like it and I will never forget the looks on all the cheering crowd as they joined in with Matt’s musical speech! So Cherish and Matt, sure your venue, ceremony, style, and music were things to be remembered, but even above all of that, the thing I will remember the very most from that day is the two of you and how much we loved being there alongside you as you celebrated this momentous time in your lives. We were thrilled to be a part of it and couldn’t have been happier to witness two people who we’ve grown to love so much in such a short period of time, commit to love one another for the rest of their lives. You guys rock and we’re so happy for you… and for the fact that we’ve found two wonderful new friends! Congrats! 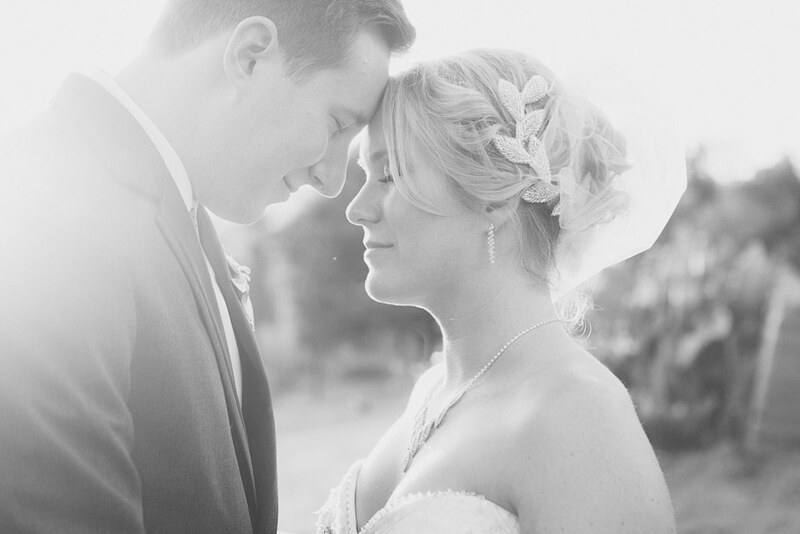 Click to see the rest of the photos from Cherish and Matt’s musical wedding.